This website is an index to research at the Centre for Economic and Social Aspects of Genomics (Cesagen), into ICT-driven developments such as biometrics, ambient intelligence, personal health systems, assistive robotics, smart implants, biosensors, GIS-related applications, and more. These are large-scale collaborative research projects, all funded by the European Commission, and this site is an archive of Cesagen's research contributions and findings. The aims and objectives of the projects presented here were influenced at the time by ongoing research at Cesagen into the life sciences, however, guided by growing interest in the convergence of biotechnology, neuroscience, nano-scale engineering, robotics, computer and communications technology. 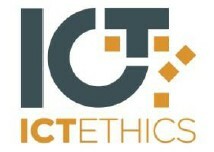 The projects have investigated the ethical, legal and socio-economic implications of the new innovations. They have investigated public perceptions, end-user reflections and issues of horizon scanning, future planning, policy development and governance. Cesagen participated in projects funded under the 6th Framework Programme (FP6) but was particularly successful in attracting funding throughout the lifetime of FP7. Collaborators on these projects have mainly been from within the EEA but also from the United States, Latin America and India. Cesagen collaborated with European organisations such as the Joint Research Centre (JRC) of the EC and the European Network and Information Security Agency (ENISA). It liaised with international governmental partners such as the US Deptartment of Homeland Security and NATO Advanced Research Division, and with industrial partners such as Fraunhofer, Philips, Sagem and the International Biometric Group.